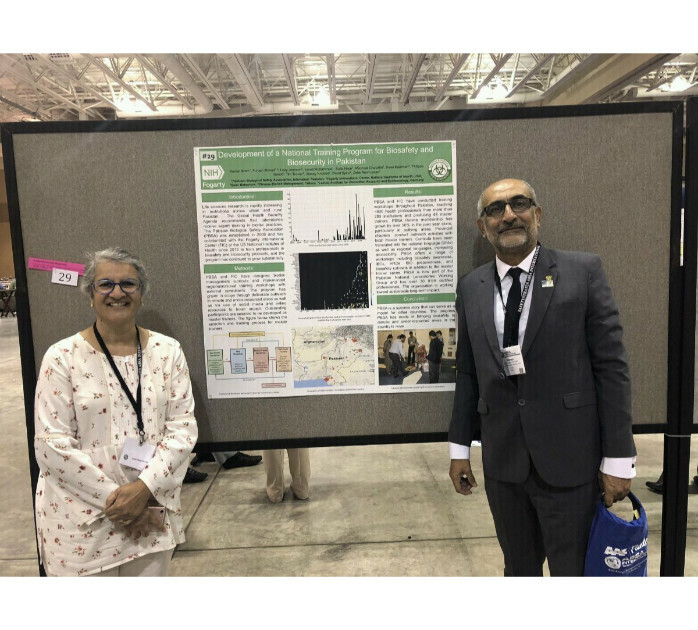 Dr. Zeba Rasmussen, Research Fellow of Fogarty International Center (FIC) as well as Dr. Shamsul Arfin Qasmi, General Secretary Pakistan Biological Safety Association (PBSA), represented PBSA and FIC in ABSA Conference October 12-17 2018. The PBSA-FIC Collaborative Project was shared during the proceedings as well as during poster presentation. It was also deeply appreciated as a model for sustaining biological risk mitigation and a culture of safety in Pakistan.